What is C# Logical Operator? How many types of Logical Operators in C sharp? How to use Logical operators in a program? The C# Logical Operator also evaluates the values and returns true or false as output. Based on true-false the program behaves dynamically at runtime. This operator is widely used with C# programming. && Operator :It is pronounced as and operator. It returns true if both or all the conditions are true and return false if any of the condition is false. // evaluating both expresson and returns true if              all are true. || Operator:It is pronounced as or operator. It also returns true or false based on condition. 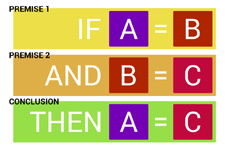 If any one of the condition matches then it returns true but if both or all the conditions are false then it returns false. After debugging this code, you can login by two different names as Steven and Clark. The password would be same with both username as Steven Clark.
! Operator:It is pronounced as not operator. It returns true if expression is false. The following demonstration will clear the concept of not operator. In the above example if you will enter the username as Steven and Password as demopass then it will deny you to login because it is evaluated by not (!) operator that returns false if the conditions match. (i) if both or all the expression returns true. (ii) If both or all the expression returns false. //it returns false because both expression match. In the above example, the both expression returns true, so the xor operator returns false and print "Access Denied. Aborting…"